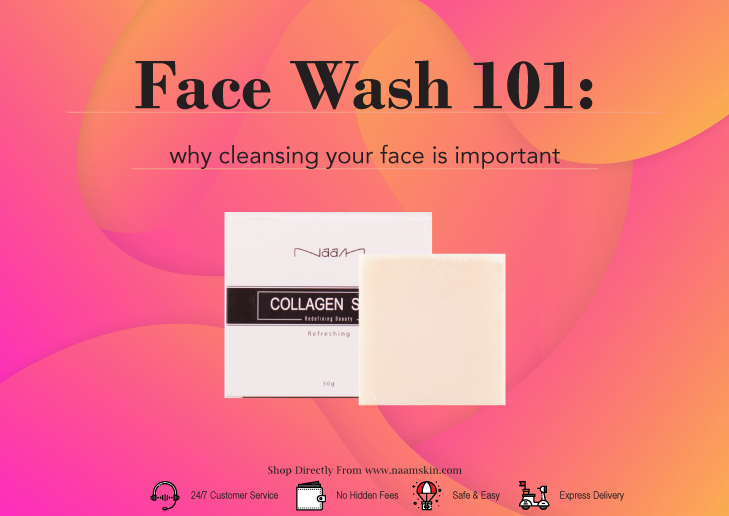 We are strong advocates of cleansing; after all it is one of the most effective ways to achieve skin that’s healthier, clearer and more radiant. remove your make-up and really clean your skin will ensure that you see visible improvements in your complexion day after day, cleanse after cleanse. Whether your skincare regime consists of two or five products (eight if you’ve ever tried a Korean skincare routine) it should always start with a cleanser. to produce sebum (skin's natural conditioner), making your skin prone to breakouts, dry patches and dullness. Soaps and facial cleansers are designed to remove dirt, sweat sebum, and oils from the skin. They do so with the use of agents that surround dirt and oil, dissolving them and making it easier for water to wash them away. They also aid in the skin’s natural exfoliating process by removing dead cells from the epidermis (the outermost layer of skin). These agents have many different functions: they act as detergents, wetting agents, foaming agents, conditioning agents and emulsifiers. If you completely stopped washing your face, your pores would become clogged resulting in the development of serious acne! The skin could also experience a combination of severe redness, dryness and irritation from insufficient hydration. Finally your skin would generally appear dirty, oily, greasy and significantly aged. Most likely you would develop an incredible itchiness; to the point where you would be forced to constantly scratch your face. This could lead to breaks of the skin which serve as entry points for infection. Moral of the story: practice proper skin cleansing!